Telecoms.com periodically invites third parties to share their views on the industry’s most pressing issues. 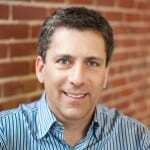 In this piece Steve Polsky, CEO and Founder of Juvo, examines some of the things pre-paid operators can do to reduce churn. Since the dawn of pre-paid time, churn has been problematic. Customers switch from carrier to carrier chasing the best deal, which the industry has not done the best job of slowing by using one simple word: yes, instead of no. Trusting their customers, and in turn, establishing a relationship with them based on mutual respect. Instead it has paid, over and over again, to attract and retain the same customer offering ever increasing discounts and incentives. Talk about a race to the bottom. Now more than ever, in every market around the world, mobile network operators are struggling to keep up with declining average revenues per user (ARPUs), increasing costs, and saturating markets. As PwC points out, no region is immune. Customer churn is a major contributing factor. Across Asia, Africa, and Latin America, approximately two billion prepaid customers rely on cash rather than credit to make purchases. Consumers pursue this means of transacting due to lack of access to banking systems and credit, fraud and corruption. Because they don’t have access to credit, 78% of the mobile users have only one option – prepaid mobile service, purchasing SIMs and top-off minutes on an as needed basis. Here’s the problem. When a user is out of minutes, he or she faces choices. Is there time to head out of his or her way to top-up? If they do, is there any reason to remain on the carrier they are on at the moment? Do they feel any loyalty at the very moment that that carrier has just turned off his or her phone? The answer to all of these questions is generally a resounding no. If a carrier has just said a big fat no to a customer, the chances that the customer says yes to them is almost non-existent. To counteract churn, telcos need to invest in new technologies and think outside of the box. Which is why Juvo has decided to build an entire economy around the concept of saying yes, and earning loyalty in a new and exciting way that goes well beyond just airtime lending. For decades, telco leaders have recognized the importance of the emerging markets as a viable revenue stream. Just ten years ago, phones were brand new to the developing world. Prepaid SIMs were the most economical and efficient path for user acquisition in cash-based societies. Since then, this push has resulted in high mobile adoption but low carrier retention outside of the western world. Today, prepaid subscribers represent a lost opportunity to MNOs, with up to 60% of new users turning over within the first 30 days, every 30 days. In hyper-competitive markets, where access to mobile phones is growing, some MNOs lose up to 80% of their prepaid customers within 90 days, and telcos are paying to acquire the same customers, over and over. The economics haven’t made sense for MNOs to build loyalty programs. With churn as a given, the path to building a successful loyalty program wasn’t clear. But what if churn wasn’t a given, and loyalty was proven to drive revenue? What’s getting in the way? Those operators who have tried to introduce customer loyalty programs have been ineffective because market incentives have pushed operators to compete with each other. On the ground, agents selling mobile services encourage users to switch SIMs to take advantage of a better deal. These same agents may be ill-equipped to explain the benefits of one carrier over another. When a person needs to top-up his or her minutes, he or she is going to rely on an agent to them find the best deal. What’s important to keep in mind, however, is that this market dynamic is changing because the way people engage with technology is changing. Take Ghana, where mobile money adoption is on the rise. There, mobile money transactions have doubled to $35B. Throughout the region, the number of banks has been failing, and people are relying on their mobile phones for transactions that power their everyday lives more and more. The mobile phone is taking on a new role in developing nations beyond Ghana, where the way banking gets done, is changing, and that is making the role of how customers choose to top-up move well beyond the agent relationship. This is an opportunity to re-write the rules of the relationship of the pre-paid customer and the carrier. It’s time for telcos to start tackling the core reason for churn, which is the lack of loyalty. But customers in developing markets have new incentives to stay on with mobile carriers—to access financial services. Customer satisfaction is an under-represented metric that telcos in developing nations need to optimize. A shift in emphasis is needed in order to eliminate prepaid churn. This focus will result in higher ARPUs and more efficient cost-models for user acquisition. Telcos should also be looking at the relationship between net promoter score (NPS) and customer lifetime value. There’s revenue in that number, and it’s a lot more efficient than spending to earn the same customer over and over. Saying yes to customers that can be trusted, based on their good behaviour, provable by data science, is a win-win for both parties. Loyalty goes up, churn goes down. If operators want to remove the influence of the agent, they must meet their customers at their exact moment of need, before they head down to visit the agent. Operators should leverage today’s cloud technology to understand the value of every single, individual subscriber relationship and enable consumers to graduate up to higher value, more loyal post-paid like relationships. To continue to consumer regardless of their in the moment core balance – to break down the hard line between prepaid and postpaid behaviour to enable deeper more trusting, higher value relationships. And this is usually starts as soon as, or when they are close to, reaching zero balance. Keeping subscribers connected, recognizing the value of their relationship and giving each and every subscriber the chance to graduate to higher value plans helps them remain engaged. Operators need to reach subscribers with deals and offers before they have a chance to set foot near an agent if they are to truly mitigate the risk of churn. The way to do this is understand the subscriber’s behaviour – much like an operator would understand the behaviour of a postpaid user. MNOs operate on the assumption that prepaid users are completely anonymous to them. The truth is, MNOs do have data about their prepaid subscribers that could prevent them from churning. But, there is a lack of infrastructure in place to manipulate this data into something meaningful that can be used to drive engagement and loyalty. But data science can provide a solution. In fact, many telecommunications companies in emerging markets including the Caribbean, Asia, and Latin America have seen notable metrics so far. In one implementation, we’ve seen new prepaid user churn drop from 62% to 11% between SIM registration and first top up and from 85% to 34% in the first 90 days. By implementing the top-up process directly with the consumer through their mobile device, operators meet the consumer at their time of need. And the moment of truth is brought forward. Operators are able to engage with a customer early and take the power away from the agent and place it firmly back in their hands. This type of early interaction and focus on customer engagement, rather than a preoccupation with “churn”, can assist in stopping the bucket from leaking. The result of this framework is the ability to pre-empt churn within the first 30 days of a customer receiving a SIM card. Through an identity scoring model, it’s possible to unlock significant value in prepaid markets, through a model that emphasizes customer satisfaction while working more constructively with agents. Rather than saying no, sorry you’re out of airtime, what if at their very moment of need, carriers had a way to say yes? What if instead of saying no and turning away a consumer, operators said yes, we value you as a customer – in fact, we value you so much that we’d like to offer you the opportunity, a pathway to gain access to higher value services? It all starts with a simple yes. Need a smart phone? Yes, we’ll finance that. Need a scooter to get to work? Yes, we can help with that. Small business loan? Here you go, you’ve proven you’re good for it. The more we start treating people as if they deserve more yesses based on a credit profile built on their actual behaviour, the faster we get to a world of financial opportunity. Who’s going to say no to that? 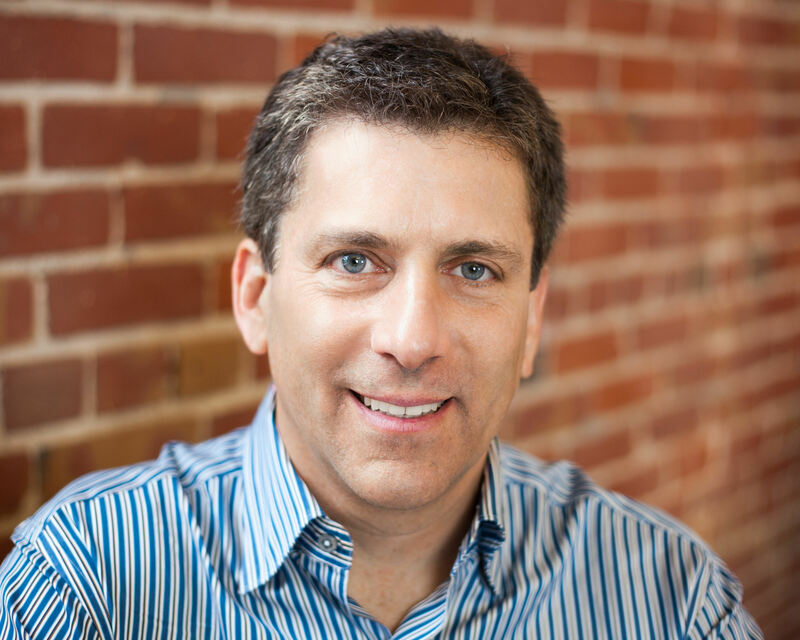 Steve Polsky is the CEO and Founder of Juvo. Steve founded Juvo with an overarching mission: to establish financial identities for the billions of people worldwide who are creditworthy, yet financially excluded. With over 20 years’ experience, Steve’s career has centred on founding, launching and managing early stage technology ventures across the mobile and consumer internet sectors where, prior to Juvo, he was most recently President and COO at Flixster/Rotten Tomatoes.